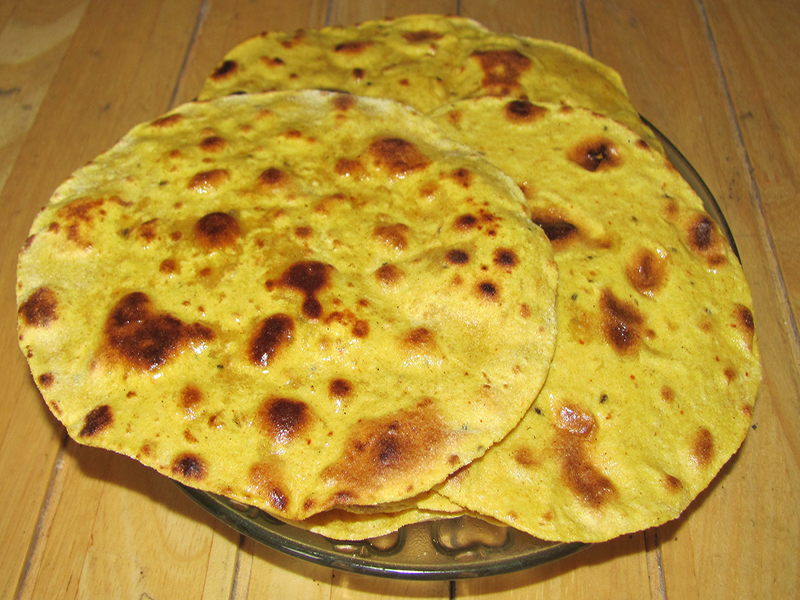 Thepla is the Gujarati version of the Chapati. The only difference is that it’s a bit spicier than normal Chapati. This flat bread has various variations. This recipe is the basic Gujarati thepla. To this fenugreek leaves or bottle gourd can be added to enhance the taste. 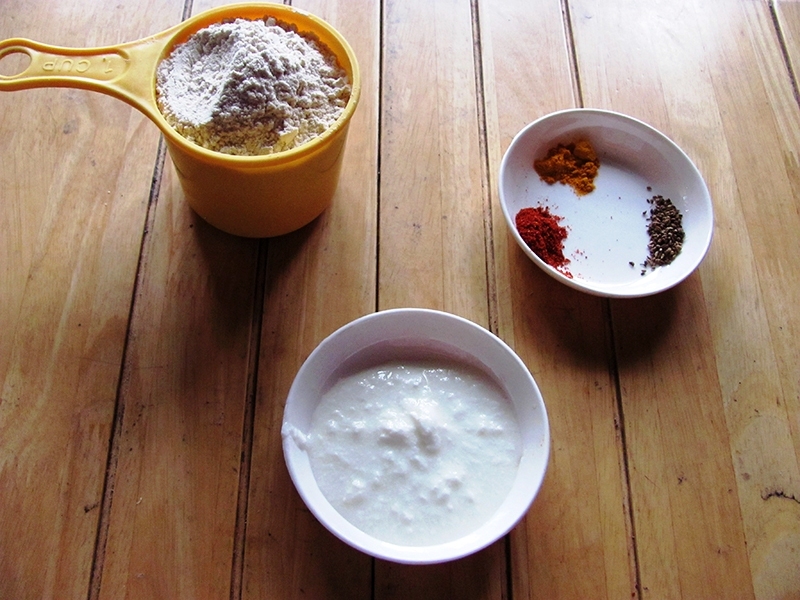 In a large bowl mix the whole wheat flour and curd. This recipe requires very little water. To this add the salt, turmeric powder, red chilli powder and carom seeds. Mix everything well. Add the oil and mix again. Slowly add warm water to form a soft dough. Knead for 2-3 minutes till its pliable. Roll them out thin with the help of wheat flour. Heat a griddle and toast them on both sides. Apply little oil and fry till they are light golden brown in colour. You can avoid the oil while frying as they taste good only toasted as well.